Where to store your TRX coins? Behind Tron (TRX) or Tronix coin there is actually a fast-rising blockchain-oriented operating system in the world at the moment. It is one out of the few largest networks available with special features beating Bitcoin and Ethereum on day-to-day use. It has a high degree of scalability, consistency and has a decentralized system. TRON also has a fault-tolerant system and is built on a safe and trustworthy environment. Where to buy Tron (TRX) coin? 4. How to buy TRX with PayPal? 5. How to buy TRX with Bank Transfer? 6. Where to store TRX Tokens? The TRON wallet is a safe and secure place to keep your TRX, and you need to set up one before making crypto operations. These wallets have their own address and destination for all TRX transfers to your wallet. There are 2 types of a Tron wallet and the different kinds available for each. The different kinds of wallets were created by developers of a community and only get an official recommendation on TRON’s website. There is a Github link available if a user has an issue using a type of TRON wallet. Choose a reliable TRON wallet carefully out of the many types and be conscious of protecting your TRX. Note: One important thing to note about a mobile TRON Wallet on Android or IOS is that you have to select 2 types of Nodes from TRON manually. These nodes are the FullNode and the SolidityNode. There are over 40 exchanges and wallets that have successfully undergone Tron token migration (ERC20 TRX to Mainnet TRX) from Ethereum blockchain to its own ledger. For the TRX exchange, no action was required while for TRX wallets, one would have to deposit the TRX to an exchange. For sure, its blockchain serves a major purpose in the cryptocurrency world today. Buying TRX on the exchange is a wonderful idea. TRON (TRX) can be bought with either BTC or ETH or USD or several other cryptocurrencies available. There are 43 exchange platforms in which TRX is traded and the most popular ones like Binance, Bitfinex, HitBTC, Ethfinex, Coinegg, OKEx, Bit-Z, Huobi, etc. In the last 24 hours, these exchange platforms had a volume of over $130 Million. With the aid of a banking card, you can buy bitcoins and convert it to TRX easily. To buy TRX without an exchange, you can buy bitcoins first with fiat money (USD or EURO) and then convert at the exchange rate of BTC to TRX. To buy TRX through bitcoins, you can also use PayPal. PayPal is a payment method adopted by many users for transactions. It is easy and accepted by platforms like Paxful. Almost similar to credit card payment, you purchase can buy Tron directly if you find a willing seller on the platform. Otherwise, you need to buy bitcoins and exchange it for Tron. 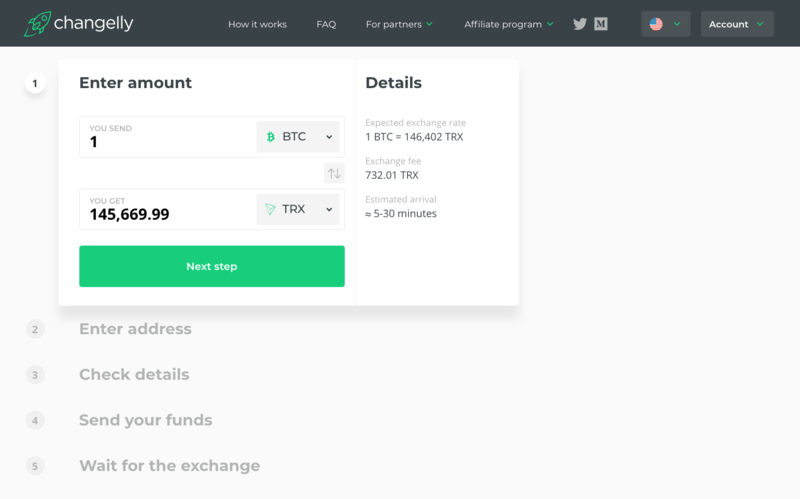 You can fund your TRX wallet using bank accounts. In achieving this, you need to use a platform like Coinbase where bank transfers are possible. However, since you cannot buy TRX directly here, you have to buy Bitcoins first and exchange it for TRX. To store TRX tokens, you can use either a wallet as mentioned above or use a trading account on a crypto exchange like Binance. Here you can carry out transactions easily as well as to store your assets. Your choice to store TRX tokens depend on your prospects and aims. One of the most conventional ways to store TRX tokens is at the exchange. These exchange platforms such as Bitifinex, Binance, etc. have storage services they provide in order to store TRX tokens bought with a type of cryptocurrency such as BTC, ETH. It is not advisable to store your coins and tokens in an exchange wallet except you are actively trading. It offers an advantage that you can store your tokens on a regular basis for them to accumulate and trade when needed. However, the disadvantage is that you can’t store as anonymous and you need to deposit a considerable amount before you can make use of this approach. The TRX wallets are the easiest way to store your TRX tokens directly. This desktop or web wallet or app has different requirements necessary for their operation. There is however an amount required for the installation of this desktop/web wallet or app. They need to be protected so as not lose your tokens. A hardware wallet is simply a micro memory device which is used for storing tokens or your currency such as BTC, TRX. It looks like a USB drive and to keep your balance updated; it requires you synchronizing your TRX wallet with the blockchain.